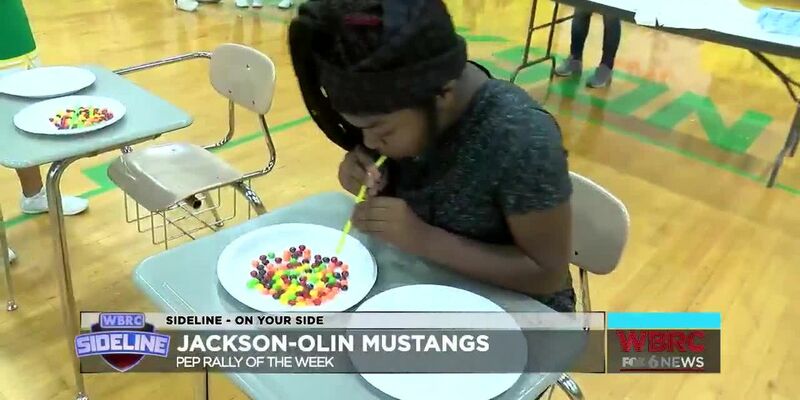 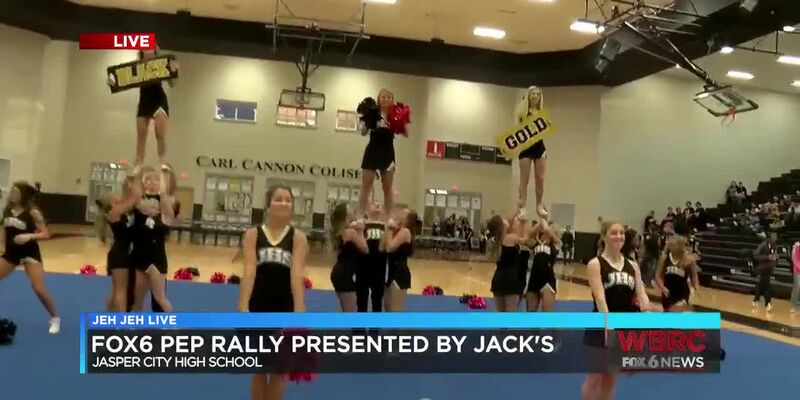 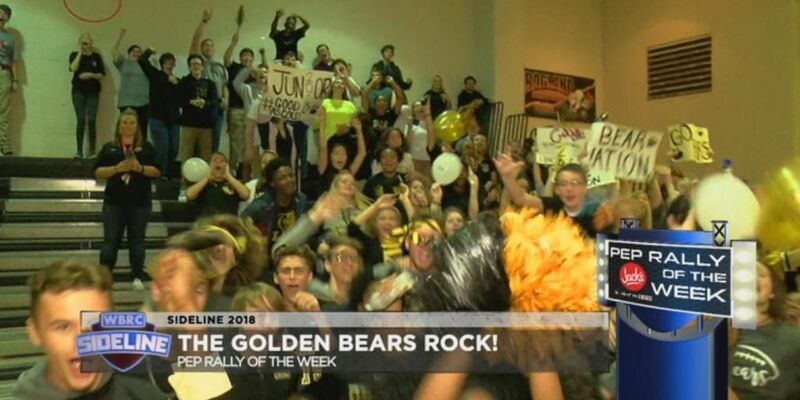 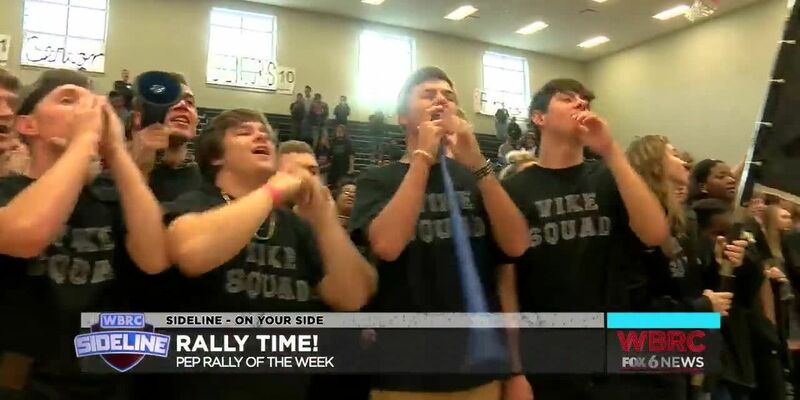 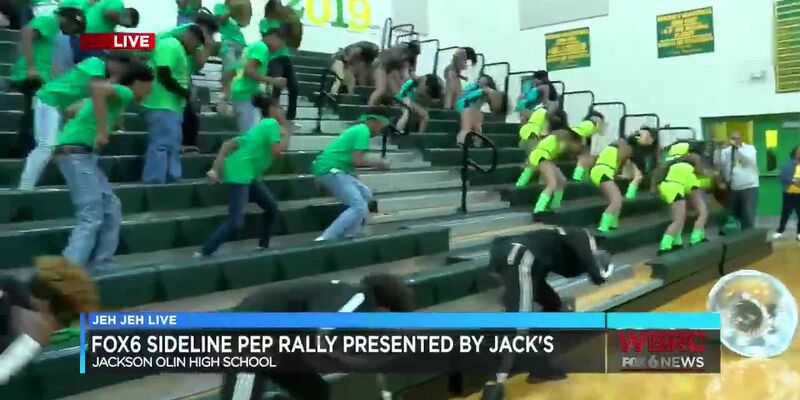 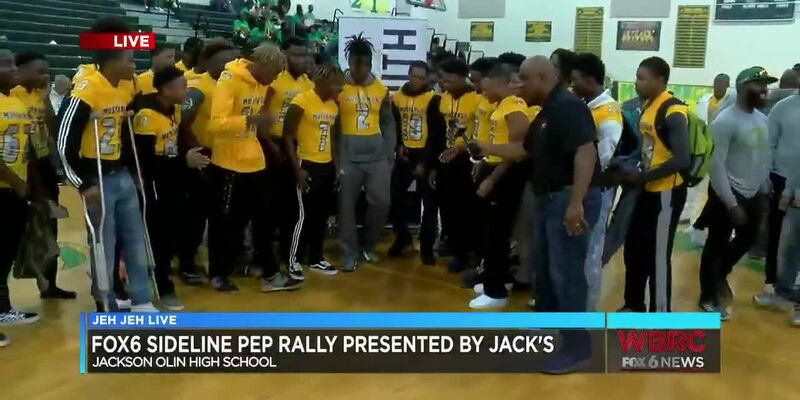 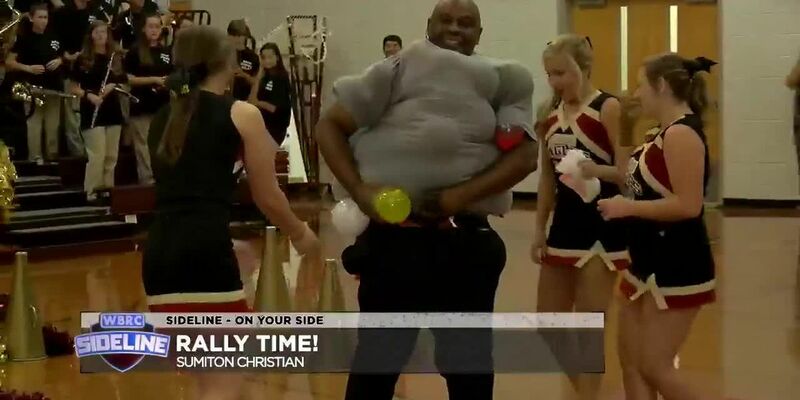 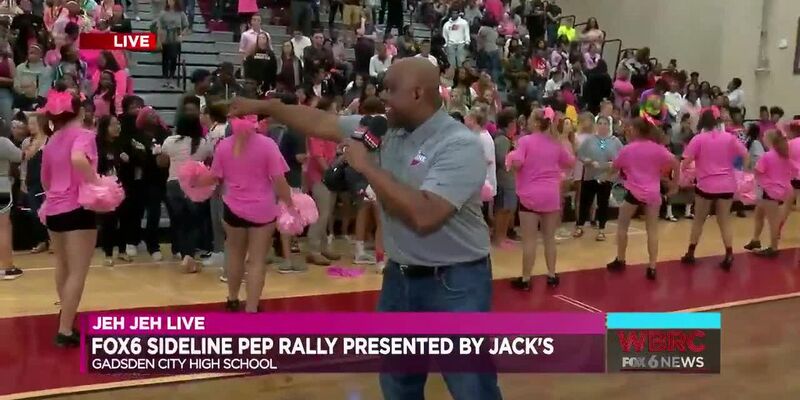 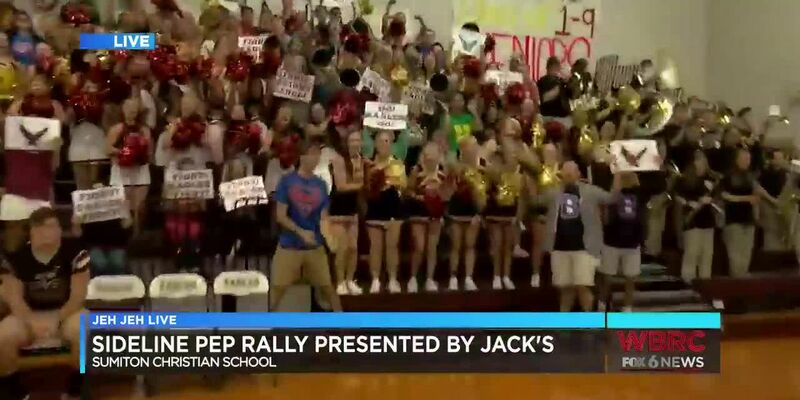 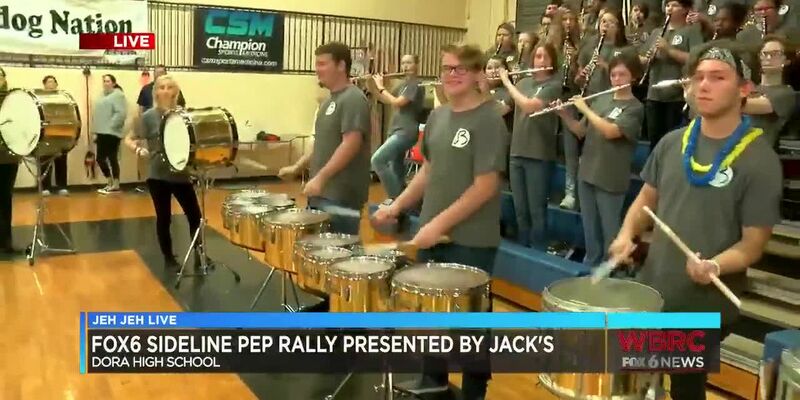 Jeh Jeh joins us live from Jackson-Olin High School for the WBRC FOX6 Sideline Pep Rally Presented By Jack's. 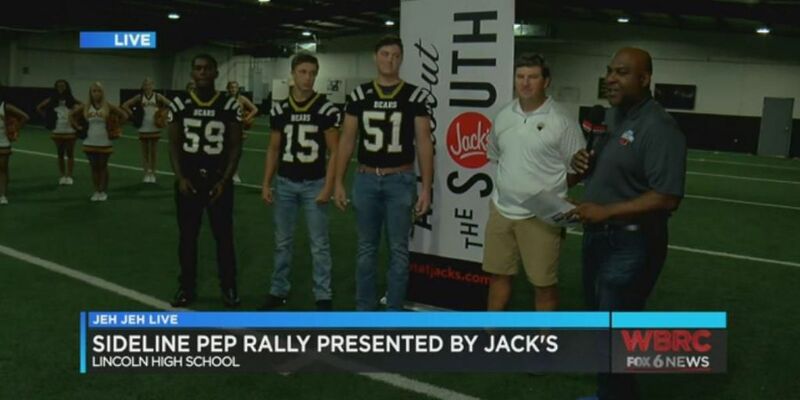 Jeh Jeh joins us live from Dora High School for the WBRC FOX6 Sideline Pep Rally Presented By Jack's. 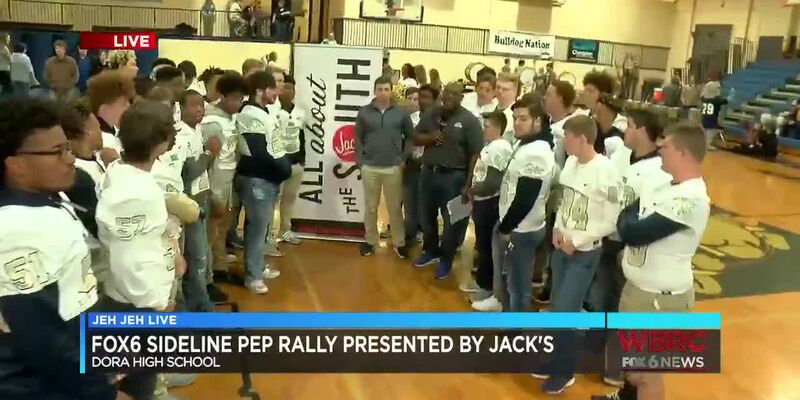 Jeh Jeh joins us live from Jasper City High School for the WBRC FOX6 Sideline Pep Rally Presented By Jack's. 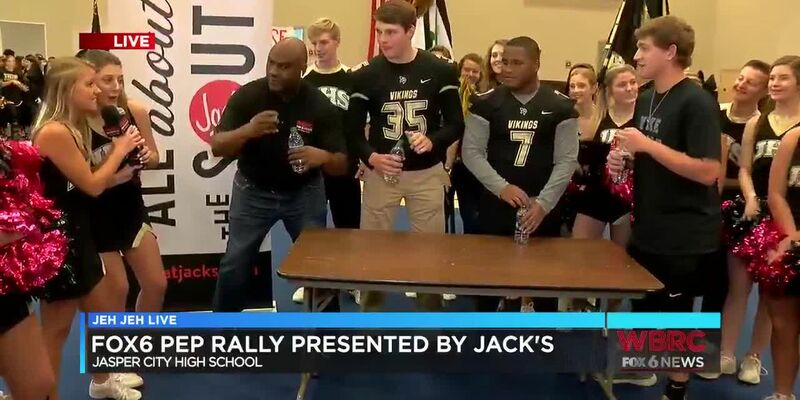 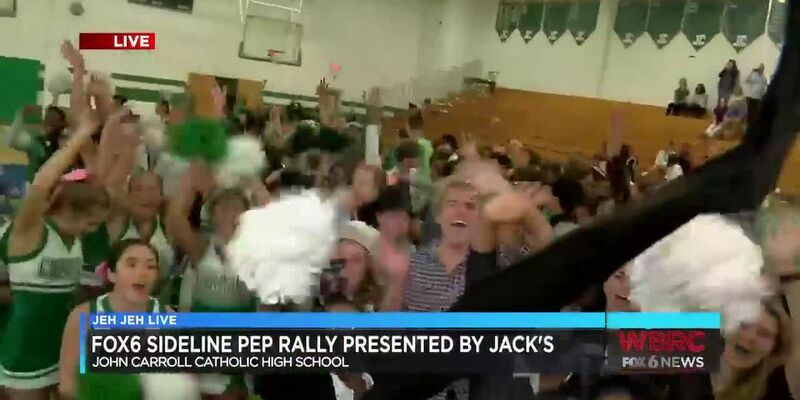 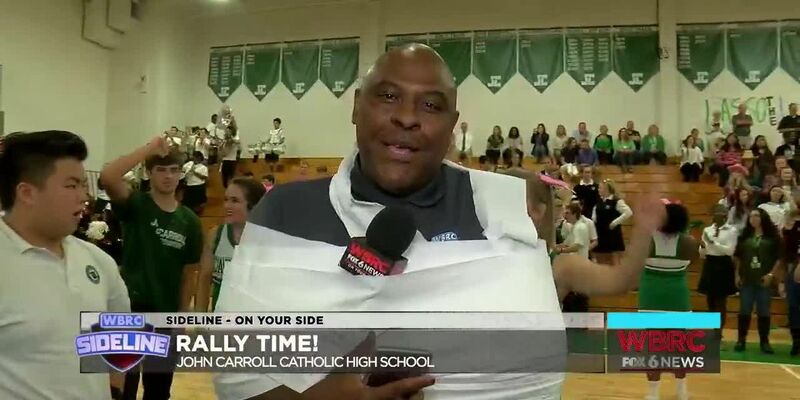 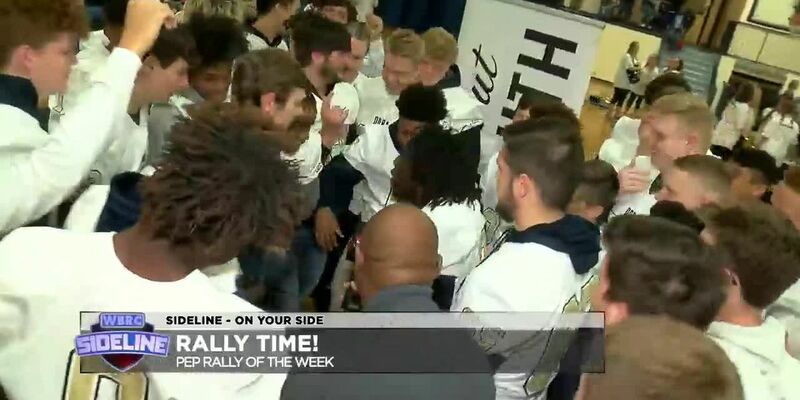 Jeh Jeh joins us live from John Carroll Catholic High School for the WBRC FOX6 Sideline Pep Rally Presented by Jack's. 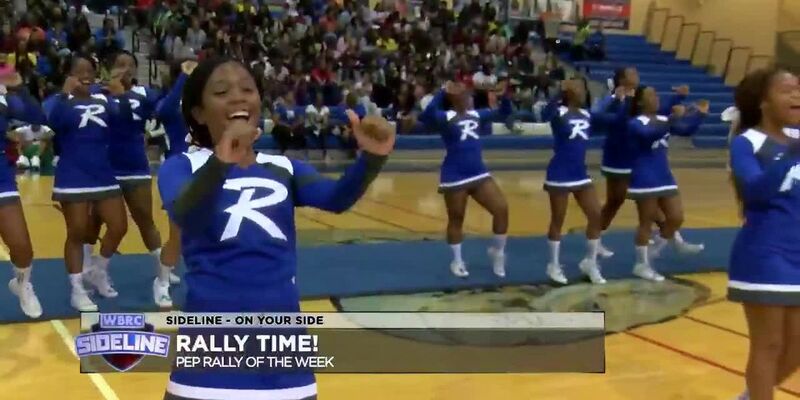 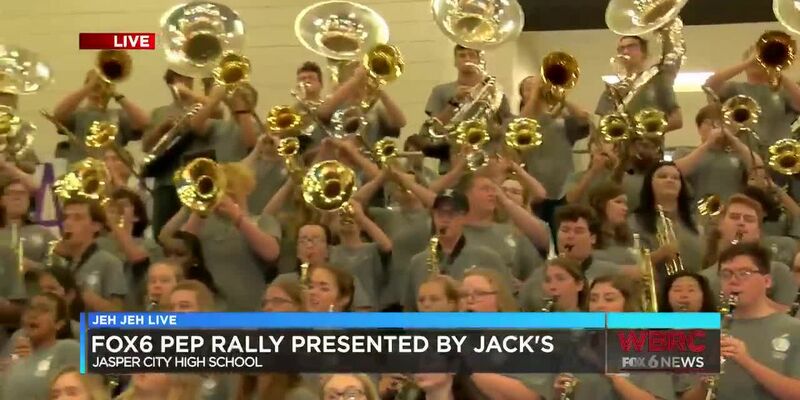 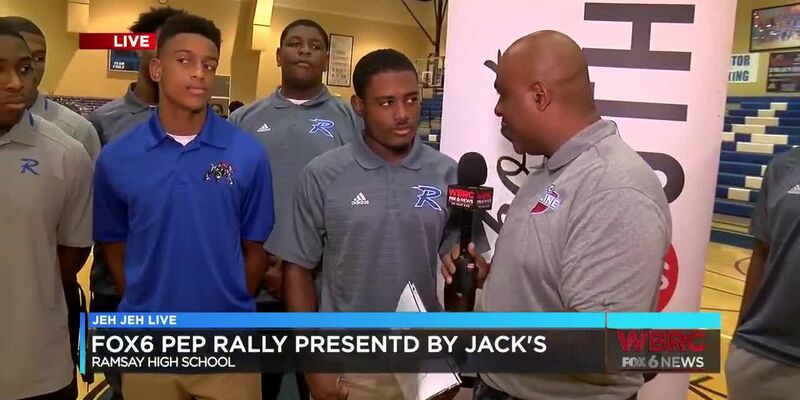 Jeh Jeh joins us live from Ramsay High School for the WBRC FOX6 Pep Rally Presented By Jack's. 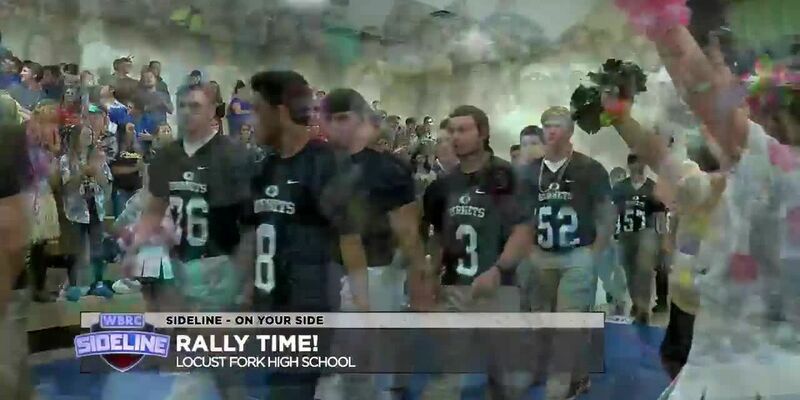 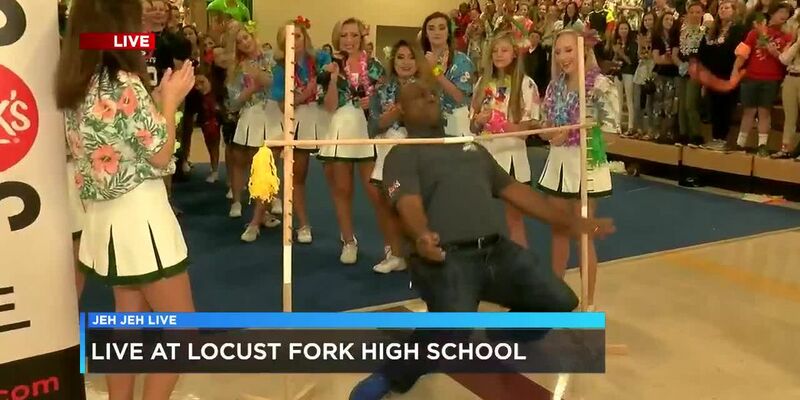 Jeh Jeh joins us live from Locust Fork High School. 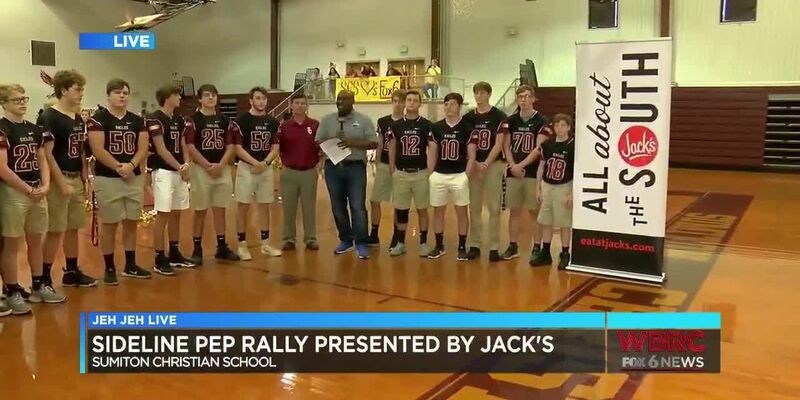 Jeh Jeh and the Sumiton Christian football players and cheerleaders hold a pep rally before tonight's big game. 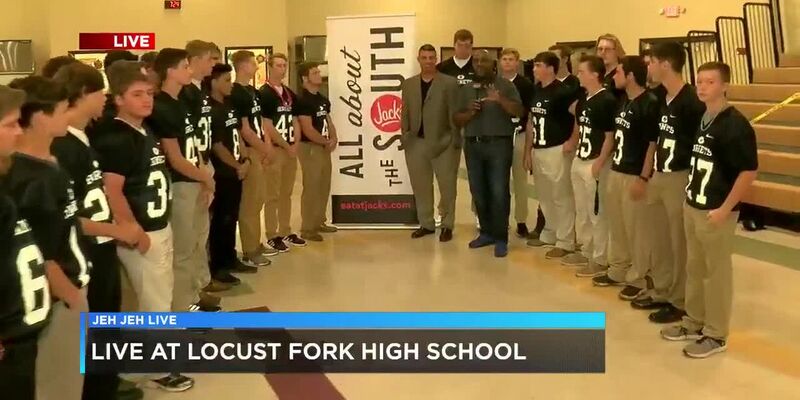 Jeh Jeh is joined by the Sumiton Christian football team and cheerleaders.